Italian tenor, Pasquale Esposito performs in his 1st PBS special: "Pasquale Esposito Celebrates Enrico Caruso. "�The docuconcert pays homage to the legendary tenor, Enrico Caruso. The concert portion, conducted by Renato Serio, was filmed at the historic Castello Giusso in Vico Equense on the Amalfi Coast while the documentary portion was filmed in Italy and the United States. Throughout the program Pasquale Esposito and Dino Natali take the audience to the cities and places that shaped Enrico Caruso's life and made him an international star. Pasquale performs an incredible repertoire of Caruso's hits along with Pasquale's original compositions. The program includes an impressive interview with Placido Domingo. It premiere nationally on public television stations in spring 2015. 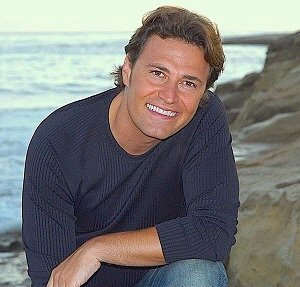 For more information about Pasquale Esposito and the PBS Concert tour: www.pasqualeesposito.com (source you tube). Much has been said and written of the Italian tenor... some say that they are as plentiful as the stars and as alike as penny's in a pond, but I say, each tenor brings something different to his performance, and the difference they bring can either create a great performer or just another penny in that pound. Pasquale Esposito brings something exceptionally different to his performances, the talent and charisma a singer must have to fulfill the true tradition of the admired and gifted tenor. Cookie: Hello Pasquale. I'm so pleased to have this opportunity to talk with you. Before we talk about music, I'd like to know a little more about your childhood in Naples, Italy, and your family. You come from a large family, do any of them share your musical talents? Pasquale: No, I must say that not one of my four older sisters is as crazy as me to enter a career in music. As far as a large family, I am the youngest of five and the only boy. Cookie: At what age did you discover that you wanted to sing and where did you first sing? Pasquale: I was 7 years old when I started to sing in the church choir. Singing came naturally to me; I do not recall discovering it... it seemed to discover me. Cookie: Growing up in Naples, you were the youngest of five children. With four older sisters were you spoiled by them, or did you pester them as all little brothers do? Cookie: Was your singing career influenced by any particular singer? Pasquale: Claudio Baglioni, Di Stefano, Caruso, Pavarotti. Cookie: Your love for the Italian language and culture is apparent in your albums, My Passion (2000), My Destiny (2004), Naples ... That's Amore (2005), A Brand New Me (2008) which you sing in Italian and English. When recording or singing on stage, do you prefer to sing in Italian? Pasquale: I love to sing in many languages. However, I know that singing in Italian, Neapolitan, or Spanish come more naturally. Cookie: On December 6, 2009 you returned to your operatic roots and preformed the most famous Italian opera arias and Neapolitan songs at San Francisco's Fort Mason to rave reviews. Is this where you would like to excel, in the opera? Cookie: And so then, Pasquale, where does this leave your love and talent for the Pop-Opera genre? The popularity of these songs with your fans can not be denied. Pasquale: As for Pop-Opera, the genre appeals to a larger audience and I love the fusion of Pop and Opera. It gives me the ability to use my technical training in a more mainstream platform. Cookie: Pasquale, where did you take your music and voice training? Pasquale: I attended San Jose State University's School of Music. I received my degree in vocal performance in 2009 and focused on opera. While attending the university, I was under the direction of Professor Joseph Frank. Cookie: Like the great Italian tenor, Mario Lanza, you are a good looking, handsome, I have those matinee idol good looks. Do you think Hollywood and the film industry will beckon you as it did Lanza? Is that a direction you would be interested in taking your career? Pasquale: Today, the music business is very challenging. We are living in a different era from Mario Lanza. The Hollywood of the past does not exist anymore. Now days, the movie stars become singers versus the past where the singers became movie stars. Cookie: Is there anything outside of your music, such as a hobby, that you are passionate about? Cookie: Your beautifully composed song, "Aria Leggera", from the album A Brand New Me is one of your original recordings. In this song, like several of your other compositions, you successfully blend pop/rock and a tenor voice to create a major hit tune. Do you feel this is your cross over album? Pasquale: I believe that the song, as well as the CD, represent my best work to date. It shows my ability to perform in many different styles. The lyrics in the songs represent me 100%. Cookie: Do you think the video is an important sales tool in the marketing of today's music. Pasquale: Yes it is ... Many times a song makes it big just because of the video. Cookie: You have written so many wonderful songs, do you have a personal favorite? Pasquale: Songs are like your children. Now, I ask you which one of them do you love the most? Cookie: How do you decide which one of your original songs will be recorded in an album? Pasquale: Usually, I perform the songs in public and I observe the reaction of people. Then, I record a preliminary version of the song and listen to it over and over. I also let others listen and take in their feedback. Lastly, I follow my inner instinct when finalizing the song. Cookie: Pasquale, you are enjoying a very successful career. What are your future goals.... your greatest desire for your career at this point? Pasquale: The beauty of this career is that there is always a new challenge. Every day, I need to reinvent myself. I am now producing young artists. I want to pass on what I learned in the past 30 years. I feel as if I need to do it. I owe this to God for giving me such a great gift. The gift is to create emotions.